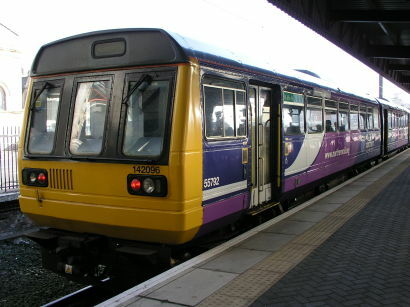 SERVICES on Northern are being disrupted today by the first of two walkouts by RMT staff this week, in the continuing dispute over train staffing. The second strike is set to take place on Saturday. Northern said its trains would be operating mainly between 07.00 and 19.00 today, and between 07.00 and 17.00 on Saturday. Even during those periods, many trains will be replaced by buses. The franchise is under growing pressure over poor performance, which has triggered fresh criticism from local government leaders. Greater Manchester mayor Andy Burnham posted on Twitter: ‘Last 14 days on Northern Rail. Full cancellations: 1,159. Part-cancellations: 1,048. Short trains: 529.’ He also said central government ministers needed to do more, because Northern’s passengers were apparently ‘invisible’ to them. Liverpool’s mayor has added his voice to the calls for rapid improvements. Steve Rotherham has written to Northern seeking assurances that his constituents would ‘receive the service they expect and deserve’. The growing crisis has prompted transport secretary Chris Grayling to take action. The DfT said Northern was now its ‘number one performance priority’, while officials are also investigating to see if the shortfalls in performance amount to a franchise breach. It’s reported that Mr Grayling will be holding meetings with senior managers at Northern. Among the urgent improvements being sought are improvements in driver rostering, more driver route-learning, contingency drivers on standby, managers on duty at major stations, and extra rush-hour services between Preston and Manchester. The RMT, meanwhile, is maintaining its stance over driver-only operation. The union’s general secretary Mick Cash said support for today’s industrial action had been ‘rock solid’, and accused Northern of ‘declaring war’ on passengers and staff. He continued: “It is ludicrous that we have been able to negotiate agreements in Wales and Scotland that lock in the guard guarantee but we are being blocked from reaching the same settlement across the north of England. A solution to this dispute is within our grasp but the German-owned Arriva need to stop sticking their heads in the sand, get back round the table and work with the union to bolt it down.